“We are very proud to win this Award," said Pavel Potuzak, Managing Director for Aveco. "Ad Juggler changes the game of ad optimization in sports. It represents a unique and important innovation in live global sports monetization." "TV Technology is the most influential magazine in the US, and one of the most influential in the world," said Sarka Vlasakova, Aveco's Marketing Manager. "For the last six years, at every NAB and IBC, it runs the Best of Show contest. There were about 1,800 exhibitors at NAB 2018. Many of those nominated their new ideas and products for the Best of Show Awards. Out of all the nominees, the board of engineers and industry experts set up by TV Technology then votes for winners, for those who are introducing outstanding ideas, features and products. There are multiple winners of the Award, last year there were about 70 of them. This year, we nominated ASTRA MCR with the Ad Juggler feature, and we won the Best of Show Award!" Aveco’s Ad Juggler helps broadcasters execute play-level sponsorship during live sports, implementing a standing order from traffic, posting to the as-run log and reconciling to traffic-and-billing. By simply using a hot key the ads can be placed at important moments such as goals, wickets or touchdowns. There can be multiple categories of ads and sponsorship, such as videos or graphics. 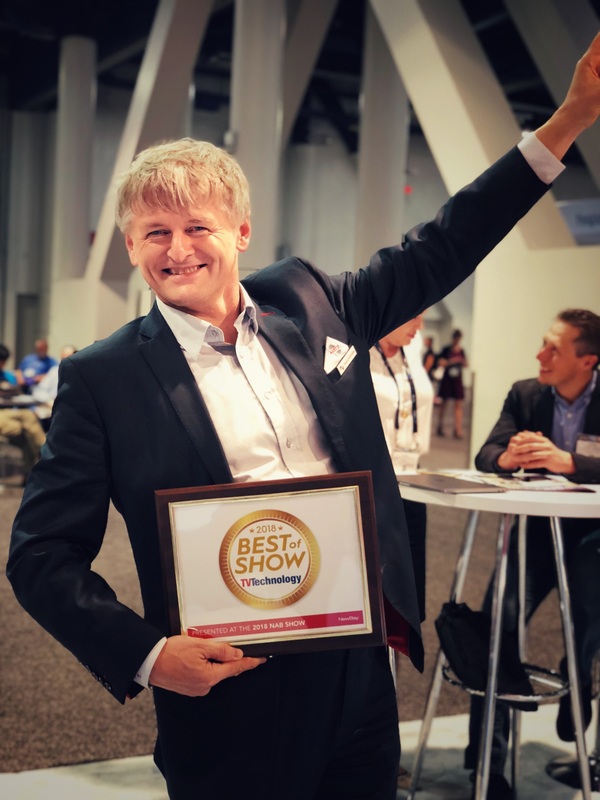 Ad Juggler is part of the broader award-winning ASTRA automation Suite of Tools that includes the industry’s most advanced master control platform, news/sports production automation, and studio show automation.